Relevance POLN is a DNA polymerase type-A family member that plays a role in DNA repair and homologous recombination. 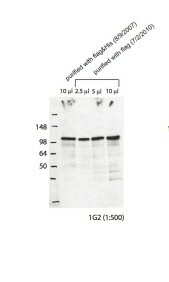 Anti-POLN [1G2/2] works for the immunoblotting of mouse POLN protein. 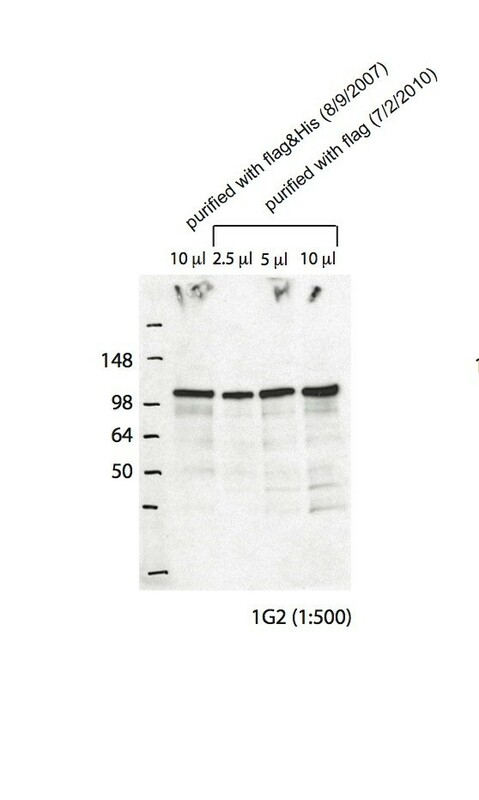 Notes Western blotting for human protein does not work. IP for mouse protein does not seem to work either.